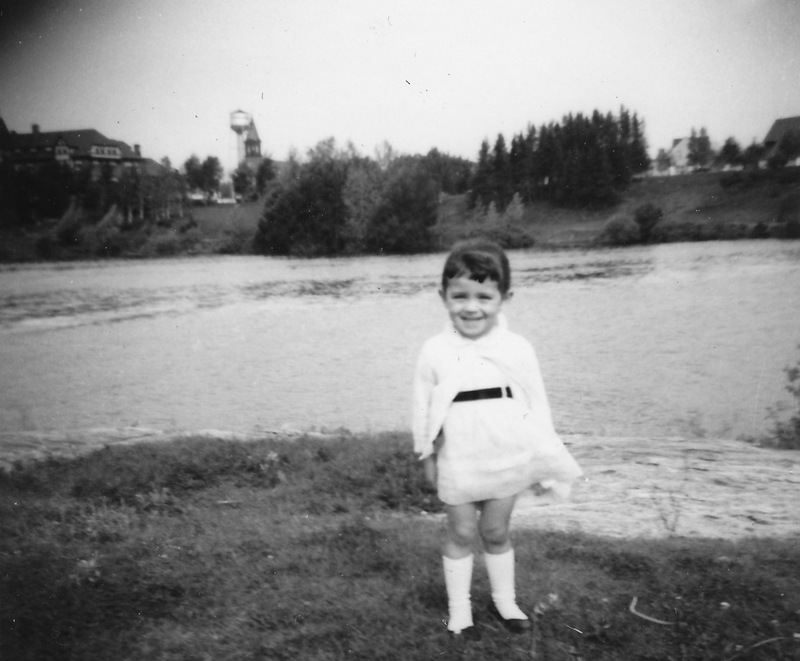 I am a child of the late 50s, born and raised in Northeastern Ontario in a French Canadian family. My hometown, Kapuskasing, was what they called a “company town” built by the Spruce Falls Power & Paper Co. (paper mill). Known as the “model town of the North”, Kapuskasing was situated in the heart of Canada’s boreal forest on the Kapuskasing River, which gave the town its name (from the Cree language meaning “bend in the river”). When I grew up, the population of Kapuskasing was approximately 60% French and 40% English. In Northern Ontario, one can expect to find “abundant wild life, thick stands of Black Spruce, long and bitterly cold winters, clear blue skies”, and, as was often the case in many parts of Ontario, historical linguistic tensions… Indeed, raised in Ontario, the story of French Canadian culture and language rights is part of my heritage. As the people of Quebec became Québécois and Québécoises, I was learning that I was a Franco-Ontarienne, no longer a Canadienne-française. During my high school years, our relatives living in the province “next door” were electing their first Parti Québécois government (1976) and preparing to hold their first referendum on Quebec sovereignty four years later. L’histoire canadienne-française was entering a new chapter. Most of our parents and grandparents born in Quebec had immigrated to Ontario between the late 1800s and early 1900s. It was a confusing time for my parents’ generation who had left Quebec as children. They were nostalgic of “la belle province” and carried fond and happy memories of their life there. They were still proudly calling themselves Canadiens-Français ! In spite of Quebec’s new nationalism, it was an exciting time to be a Francophone teenager in my tiny corner of Ontario! After years of dedicated work, our parents had finally obtained a public French high school in my hometown. The year was 1971 and Cité des Jeunes was a brand new school in the middle of nowhere — One Thousand Voices singing their fierté francophone. We had no idea how devoted our hard-working parents had been for decades in order to secure the future of our education in French. Turbulent times? Yes, but exciting as well as we cheerfully identified with our green mascot, la grenouille, and attended workshops meant to affirm as well as confirm our cultural heritage. Through the 1970s, we partied to Franco-Ontarian music coming out of Sudbury, attended all night music/theatre festivals such as La nuit sur l’étang, and participated in Le nord, c’est l’fun! weekends. As teenagers, we were understandably unaware of the far-reaching ramifications stemming from the politico-socio-cultural-linguistic climate brewing in Quebec. As 18-year olds, we were also by and large oblivious to our own linguistic struggles in French Ontario. Thirty-five years later, I have begun a research journey to tell the story of hundreds of French Canadian women who have colonised Northern Ontario alongside their husbands since the late 1800s — the first pioneers, their daughters and their granddaughters are finding a voice on my blog “Les femmes de la route 11 : les Elles du Nord”. History/Herstory has a way of slipping away from us if we don’t keep it alive through storytelling, research and fact-finding. It is in that spirit that I share my story here. I am grateful to James LaForest for his invitation to share parts of my Franco-Ontarian story with the readers of THE STORYKEEPERS PROJECT. Merci James. I am also happy to share, in an upcoming article on this blog, the story of three key linguistic events in Franco-Ontarian history, which took place between 1916 and 1997. Across the towns, villages and cities of Ontario, there are many stories of individuals, women and men, who played a vital role to ensure that their descendants would have access to education, health and judicial services in French anywhere in Ontario. This article will be published on January 3rd, 2014 in time for the anniversary of la Bataille des épingles à chapeaux. J’ai hâte de lire ce que tu publieras le 3 janvier prochain !! Merci de ton encouragement Lise ! Moi aussi, j’ai envie de lire ce que vous écrirez le 3 janvier. Bonjour Stephanie. C’est un plaisir de connaître votre intérêt pour mon prochain article. Merci !